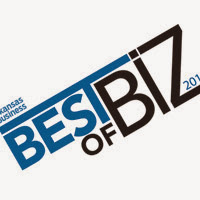 Readers of Arkansas Business—the state’s most prominent business journal—recently voted Garver the number one engineering firm in the state for 2013. We at Garver are proud to be number one to our clients, our communities, and the state of Arkansas. Our employees work hard to make us the best engineering firm in the state and we appreciate the public's recognition of that. Satisfied customers are a shining reflection of Garver’s dedication to quality practices, progressive methods, and honorable relationships.